This course is conducted by Simplilearn and offers training in various Hadoop ecosystem components such as Yarn, Hadoop 2.7, MapReduce, Hive, Pig, HBase, Impala, Flume, Sqoop, and Apache Spark. Students will also gain hands-on experience in CloudLabs through the implementation of real-life projects in various sectors such as telecommunication, banking, insurance, social media, and e-commerce. The course is ideal for data management and analytics professionals looking to hone their big data skills. This course has long-term implications, considering the importance of big data in the current business environment. Experts who are proficient in the field of big data act as the course advisors. Key features of the program include 40 hours of training led by an instructor, 5 real-life industry projects, 24 hours of self-paced training videos and hands-on experience with CloudLabs. As is customary with courses offered on Simplilearn, there are course packages for individuals and businesses. Individuals have the option of choosing Self-Paced Learning or Online Classroom Flexi-Pass. Organizations, on the other hand, can make use of the Corporate Training Solutions package. This data science course is offered by the University of California on Coursera. Through this course, you’ll learn how to explain Hadoop architecture and its execution environment. Trainees will also learn how techniques like MapReduce can be applied to solve Big Data problems. The course is appropriate for beginners in programming as well as entrepreneurs who would like to develop their skills in Big Data analytics. Those who would like to enroll for this course do not necessarily require prior Hadoop or data science experience. However, a basic knowledge in programming would enhance their learning experience. The certificate obtained at the end of this course is highly valuable because of the website’s partner institution. 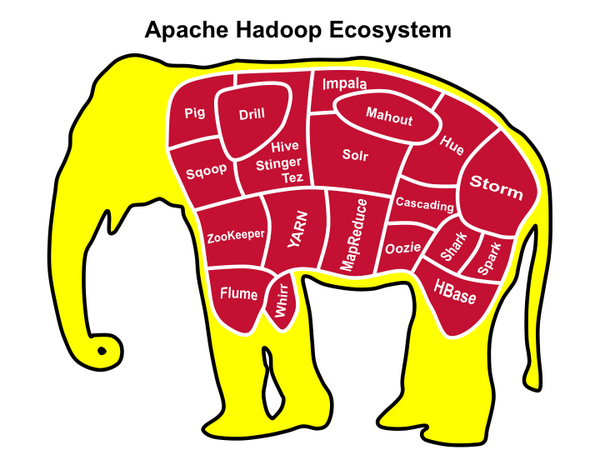 The online platform Cloudera offers a video course in Apache Hadoop. The course is taught systematically so students have a concise understanding of the subject. This Apache Hadoop training has been designed for data science enthusiasts, data analysts, developers and administrators. Cloudera also offers a free live demonstration of Hadoop known as Cloudera Live. This demo has specifically been designed to help students learn the Hadoop environment. Data science plays an important role in the present business environment; thus making this course ideal for those who would like to improve the performance of their businesses or enhance their employability. The other benefit of taking this course on Cloudera is that it is offered free of charge. This course is offered on edX, which is one of the most reliable online platforms for data science courses. Learners who take this course are taught the various aspects of big data. It provides an overview of Apache Hadoop and equips learners with essential skills to help them set up their own Hadoop instance. The training program has been developed for those interested in big data analytics to acquire important skills and experiences in the field. The course offered on edX is taught by highly skilled and experienced Hadoop experts. It is ideal for IT professionals looking to gain a deeper understanding of Hadoop. A verified certificate will cost you $99 and will equip you with important data science skills. The University of Washington offers a three-course Certificate in Big Data Technologies, which identifies Hadoop as one of the practical tools used in the storing and processing of data. Designed for experienced professionals working with large data sets, the course delves deep into distributed computing. Students gain hands-on experience in using Hive and Spark and other industry-standard data tools. This is meant to give professionals a real-life experience working with data flow situations that typically influence business decisions. You can either attend part time classes for the 8-month course duration or stream courses online. Online learning also features real time chat, phone or web conference interaction with instructors and fellow students. Students are bound to gain invaluable insights from instructors who are experienced in this field. As organizations increasingly deal with gigantic amounts of data, they require specialists who are capable of designing and building platforms that can handle such data. The specialists must be equipped with up-to-date skills, which can be derived from top institutions.